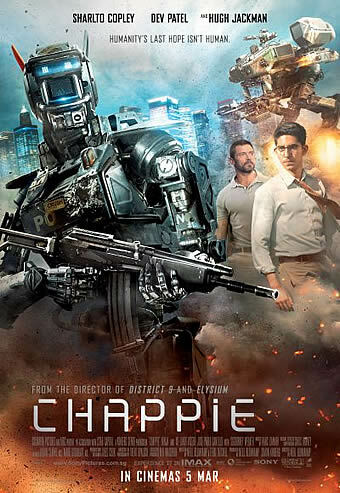 Synopsis: CHAPPiE - an experimental robot built and designed to learn and feel. Like any child, Chappie will come under the influence of his surroundings – some good, some bad – and he will rely on his heart and soul to find his way in the world and become his own man. But there's one thing that makes Chappie different from anyone else: he is a robot. The first robot with the ability to think and feel for himself. That’s a dangerous idea – and it’s a challenge that will pit Chappie against powerful, destructive forces that would ensure that he is the last of his kind. It’s a good thing Neill Blomkamp secured his next directing gig before his latest went into wide release; indeed, while the South African born Blomkamp has been acclaimed as one of the most distinctive science fiction directors of the modern era after his debut ‘District 9’, he failed to make good on that promise with his underwhelming sophomore feature ‘Elysium’, and ‘Chappie’ marks yet another costly misstep that threatens to send his career the way of the Wachowskis. Its premise of an artificial intelligence becoming human is by now a familiar one, but rather than build on what its predecessors had to offer, this childish and noisy spectacle fails to develop any of its themes, be it the oft-repeated idea of consciousness or its social allegory of class divisions. Set once again in Johannesburg in the near future, ‘Chappie’ opens in the same way as ‘District 9’ with mock news footage establishing how the police have commissioned an elite team of human-sized droids – called ‘Scouts’ – from a robotics firm known as Tetravaal to restore law and city and reduce the body count for the force as well. The ‘Scouts’ are the brainchild of an idealistic inventor called Deon (Dev Patel), whose creation is hailed by his company’s CEO (Sigourney Weaver) to the consternation of a jealous colleague Vincent (Hugh Jackman). Unlike the ‘Scouts’, Vincent own invention dubbed the ‘Moose’ requires direct human control, and has understandably been sidelined as his company banks its future on greater deployment of the ‘Scouts’. Their rivalry is supposed to set in motion a series of events that leads to our titular character taking on a much more heavily-armed ‘Moose’ in the overblown finale, but any sort of meaningful build-up between Deon and Vincent is cast aside in favour of a gangsta subplot that is frankly misplaced. Celebrating his love for his homeland’s rap-rave group Die Antwoord, Blomkamp has cast both members as low-life gangsters Ninja and Yo-Landi (played by the group’s Ninja and Yo-Landi Visser), who in the opening sequence following the scene-setting newsreel are seen to have bungled a heist and now owe their boss Hippo (played by Blomkamp vet Brandon Auret) $20 million. To procure the compensation owed, Yo-Landi comes up with the laughable notion of obtaining a remote control so that they can switch off the Scouts. The search for that ‘remote’ leads them to kidnap Deon, just as the latter has prepped one of the decommissioned Scouts – or ‘Scout 22’ as he calls it – for his experiment in synthetic consciousness. By simply uploading a data file he created, Deon turns that scout into a thinking and feeling robot who is also taken together with his inventor and earns the affection of Yo-Landi. It is Yo-Landi who gives him the name ‘Chappie’, and in turn, Chappie calls her ‘Mommy’ and Ninja ‘Daddy’. Almost the whole second act is dedicated to Chappie’s learning as a sentient being, which is disturbing to say the least. On one hand, Mommy teaches him English, reads him bedtime stories and encourages him to go pursue his dreams. On the other, Daddy and his accomplice Amerika (Jose Pablo Cantillo) try to manipulate his fundamental mental constructs in order that he may assist them in their heist of an armoured vehicle – and their tutelage involves tricking him to ‘rob’ cars, hold a gun and ‘put people to sleep’ with a knife, while speaking in hip-hop slang and outfitted in tacky old necklaces. 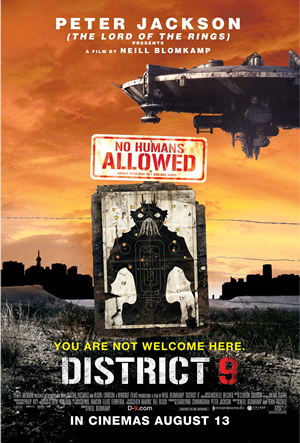 The fact that many of these scenes are played as comedy without any acknowledgment of its anarchic undertones only reinforces just how tone-deaf Blomkamp’s movie is, so much so that Chappie’s questioning of our human failings – expressed in his confusion why humans break promises and do bad things – rings hollow and even hypocritical. There is no apartheid allegory here, but it is clear right from the onset that Blomkamp’s sympathies still lie with the disfranchised in society, as can be seen from the way he embodies Chappie’s thuggish caretakers with supposedly likeable traits. Though that posture may have worked in ‘District 9’, it feels shockingly misplaced here, in particular since their ‘tutelage’ leads only to violence, crime and death. It doesn’t help that Chappie isn’t an endearing character in his own right, coming across as a hyper-active chatterbox without nuance or restraint – and Chappie remains an unrelatable character from start to finish. 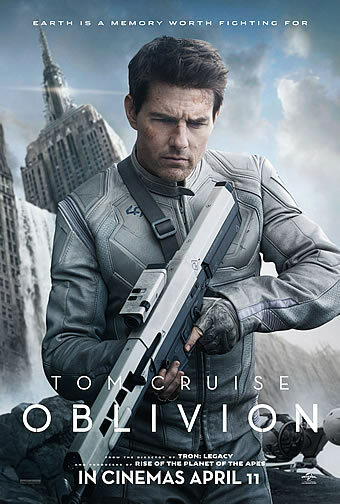 Despite his efforts at trying to get his audience to identify with his character’s struggle to develop a mind and soul of his own – not just what his ‘maker’ programmes himself to be or what he has been taught to follow – Blomkamp fails to make good on an intriguing theme that several other filmmakers have explored to much, much better effect before or draw any poignancy out of it. Between Chappie’s incessant chatter and Blomkamp’s attempt to pack as much diffuse plot into the runtime, there is hardly any space given to explore the intellectual notions that the movie flirts with (but never indulges in any serious manner), and it is perhaps telling that it eventually decides that a person’s individual consciousness can simply be reduced to a data file and transferred from human to android without any loss or change in character. The same idiocy unfortunately extends to its stock character archetypes. Patel’s inventor is never given any motivation why he developed a consciousness for his androids in the first place. His rival played by Jackman is no more than a cartoonish villain, and even embarrassing for the A-list actor. Weaver continues a streak of playing the thankless supporting character, but the most ill-advised bit of scripting and casting has got to be the triumvirate of Ninja, Yo-Landi and Amerika/ Padillo, who are not only caricatures through and through but some of the more off-putting ones in recent memory. Sharlto Copley does a capable motion-capture for Chappie, but that work is sadly overshadowed by a character that could absolutely do with an overhaul. Ditto for the whole picture in fact, which recycles themes from much better genre equivalents and gives them a South African underbelly spin that frankly doesn’t work. Blomkamp’s flair for staging a propulsive picture (with some help from an equally intrusive score from Hans Zimmer) is still intact, and so is his verve, but ‘Chappie’ is hyper-frenetic, over-plotted and yet under-developed at the same time. 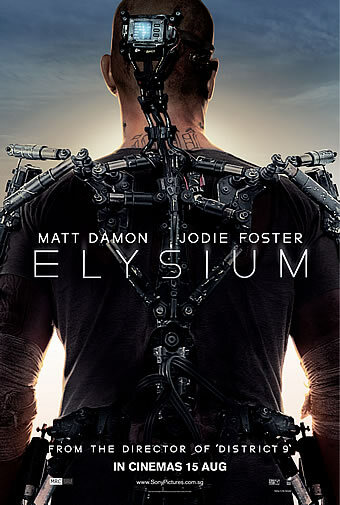 It is not even ‘Elysium’, which Blomkamp has in recent weeks admitted that he ‘f**ked up’. We only wonder what he is going to say about ‘Chappie’ when he starts doing his rounds for the next ‘Alien’ movie.